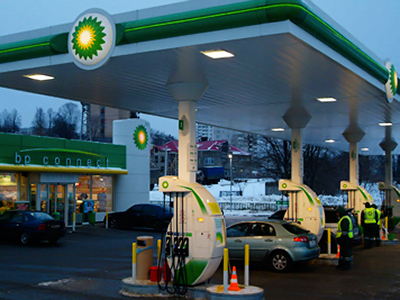 Russian bailiffs have raided BP’s Moscow office in connection with a $3 billion lawsuit being brought against the company by minority Russian shareholder in TNK-BP Andrey Prokhorov. 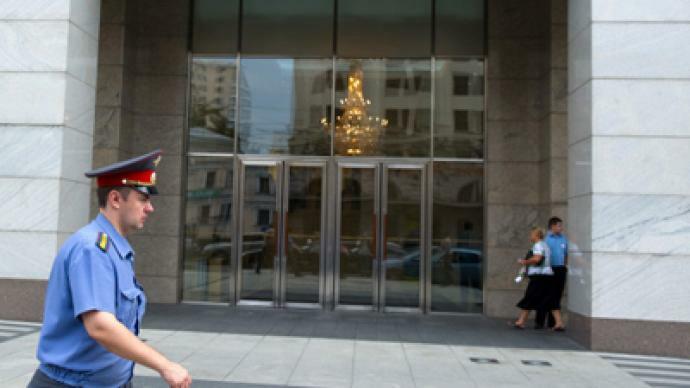 Bailiffs have visited the BP Novinsky Boulevard office executing an injunction issued by the Tyumen Region arbitration court according to BP spokesman Vladimir Buyanov quoted by Interfax, who noted that BP officials “are cooperating with the law enforcement bodies." The President of BP Russia, Jeremy Huck, told journalists on Wednesday that the raid by bailiffs constituted pressure on its operations. "It is our opinion that the court order, through which representatives of Prokhorov and court bailiffs are now in our office, has no legal grounds. The office's work has been paralyzed. We see these actions as pressure on BP's operations in Russia," he said. BP is deeming to file a protest against the search. Dmitry Chepurenko, one of Prokhorov’s lawyers, told Interfax that the bailiffs had to raid the office as BP, in defiance of a court order, had failed to make the documents available. The bailiffs will now see if the original documents or their certified copies can be obtained in BP’s Moscow office. 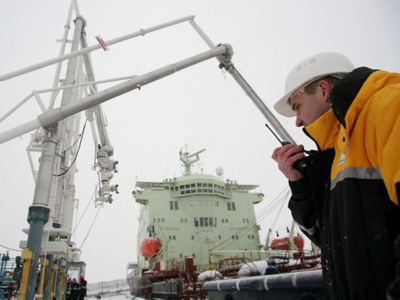 Andrey Prokhorov, an obscure minority shareholder of BP's Russian venture TNK-BP, is suing the BP for attempting to push an Arctic exploration deal and share swap with Russian energy major, Rosneft to fall through. 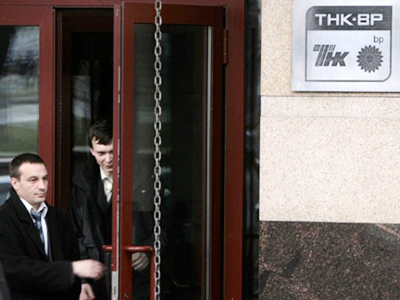 The proposed joint venture and share swap was eventually abandoned as Russian shareholders sought arbitration in the Stockholm Arbitration Court arguing the proposed deal contravened the TNK-BP shareholders agreement, which it argued should see TNK-BP given the first right of refusal on all BP activities in Russia. Rosneft unveiled on Tuesday a new strategic agreement with rival global oil major ExxonMobil to replace the failed BP venture. The timing of these two events will lead some to ask whether the search of BP’s Moscow office was politically motivated, warned Investcafe analyst Grigory Birg.